-They have multiple stops allowing them to take full advantage of the regenerative braking technology. 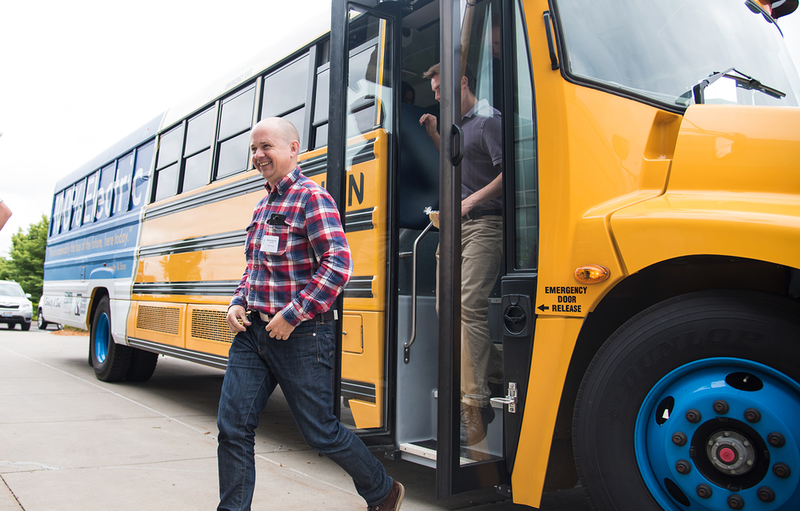 -They offer a 100-mile range while the average school bus route is 66 miles. -They save $12,000 annually on operation and maintenance costs compared to traditional buses. -It operates so quietly that musical tones were installed to play when its traveling under 20 mph to alert students and other pedestrians that it’s nearby. -It’s limited to a max speed of 60 mph due to governors that make its acceleration smoother. Without these, the bus could operate at 130 mph. -It’s heated by a diesel heater to preserve battery for the vehicle, which also means that there’s no difference in summer and winter range. It’s the only non-electric component on the bus.